This study was completed with periodical surveys in Ohi Stream between November 2010 - October 2011 period. During the study, a total of 23 species (16 belonging to Rotifera, 5 to Cladocera and 2 to Copepoda) were identified in Ohi Stream. All of the zooplanktonic species have been detected for the first time in Ohi Stream. And also some chemical and physical pa-rameters as pH, dissolved oxygen, water temperature were measured during field trips. Bu çalışma Kasım 2010 - Ekim 2011 tarihleri arasında periyodik olarak alınan örnekler üzerin-den yapılmıştır. Çalışma sırasında, toplam 23 tür (16 Rotifera, 5 Cladocera, 2 Copepoda’ya ait tür) teşhis edilmiştir.Teşhis edilen bütün zooplanktonik türler Ohi Çayı için ilk kayıttır. Aynı zamanda pH, çözünmüş oksijen, sıcaklık gibi bazı kimyasal ve fiziksel parametreler arazide anında ölçülmüştür. In freshwater ecosystems, three groups of zo-oplankton, namely Rotifera, Cladocera, and Co-pepoda, have been reported (Berzins and Pejler, 1987). Zooplankton occupies the second trophic level in the food chain, the first being occupied by phytoplankton. In aquatic ecosystems, these organisms are the main food source for inverte-brates, fishes, and sometimes for aquatic birds. Some species have been reported as characteristic indicators of water quality and trophic level of lakes (Sladecek, 1983; Herzig, 1987; Saksena, 1987). Many studies were carried out on zooplank-tonic organisms in Turkey, Ozdemir and Sen (1994), Saler and Sen (2002), Saler (2004, 2009), Tellioglu and Yılmazturk (2005), Yigit (2006), Ipek and Saler (2008), Saler and Ipek (2009), Saler and Sen (2010), Saler et al. (2010), Saler et al. (2011a, b). We carried out this study to ex-plain the zooplankton fauna of Ohi Stream and to discuss the species compositions and species richness. The importance of this study is that this is the first research on zooplankton in Ohi Stream. Ohi Stream is 105 km far from Elazıg and 52 km far from Bingol, placed in the North of Elazıg. Ohi Stream borns from the Sarıcan Vil-lage and joins to Peri Stream (URL, 1). Sampling was made monthly between November 2010 - October 2011 period. Three sampling stations were chosen in different areas of Ohi Stream (Table 1). The zooplankton samples were collected with a standart plankton net (Hydrobios Kiel, 25 cm diameter, 55 μ mesh size) horizontal hauls and the specimens were preserved in 4% formalde-hyde solution in 100ml plastic bottles. Zoo-plankton species were examined under Leitz in-verted microscope. Relevant literatures as Ed-mondson (1959), Scourfield and Hardig (1966), Dussart (1969), Flössner (1972), Harding and Smith (1974), Kiefer (1978), Koste (1978 a, b), Dumont and De Ridder (1987), Reedy (1994) were used for the identification of the species. In addition, some physical and chemical parameters as water temperature and dissolved oxygen were measured with Oxi 315i/SET oxygen meter, pH was measured with Lamotte (pH 5-WC) pH me-ter in situ. In Ohi Stream, 23 species were found, in-cluding 16 Rotifera, 5 Cladocera and 2 Copepoda species Based on the number of individuals, roti-fers were the dominant group in the stream (69.56 %) followed by Cladocera (21.72 %) and Copepoda (8.69 %).Dominant Rotifera species was Keratella cochlearis followed by Polyarthra dolichoptera. Alona rectangulata and Cerio-daphnia reticulata were the dominant cladoceran species. Cyclops vicinus was the dominant Cope-poda species. The seasonal distributions of spe-cies are given in Table 2. There was a market decrease in total zoo-plankton species richness and individual number in winter and a sharp increase in spring and au-tumn months.The most number of species were observed in spring ( A. saltans , A. priodonta, B. angularis, F. Longiseta, K. longispina, K. coch-learis, K. hispida , P. dolichoptera, S. pectinata , C. reticulata, A. rectangulata, A. denticornis, C. vicinus) but less number of species were ob-served in winter K. cochlearis P. dolichoptera, N. Squamula, K. longispina , B. longirostris, D. cu-cullata, L. leydigi. The most number of species were recorded in the second station with 16 spe-cies (11 belonging to Rotifera, 4 to Cladocera and 1 to Copepoda ) in spring and the less number of species were recorded in the third station with 3 species (2 belonging to Rotifera and 1 to Cope-poda) in winter. Temperature, dissolved oxygen and pH values of the Ohi Stream were shown in the Table 3. Zooplankton species are important indicators for aquatic habitats since most of them are used to determine the water quality, the trophic level and level of polutions in lakes and streams. For example, Keratella cochlearis and Polyarthra dolichoptera species of Rotifera are indicators of productive habitats, while Notholca squamula is an indicator of cold waters. These species were also observed in Ohi Stream. Species richness of Rotifera was found quite high, as compared to Cladocera and Copepoda in Turkish inland wa-ters.In other zooplanktonic studies that conducted in rivers, similar results were recorded (Saler et all 2011 a, b). In this study highest species rich-ness and individual numbers were found to be-long to Rotifera with 16 species. All the recorded Rotifer species in the present study are widely distributed around the world. Keratella cochlearis, Keratella quadrata, Not-holca squamula, Asplanchna priodonta, Bosmina longirostris, Cyclops vicinus are cosmopolitan species and all of these species were recorded in Ohi Stream. (Kolisko, 1974, Segers, 2007). Also many of the recorded species are common in Turkey (Saksena 1987, Dumont and De Ridder 1987, Kaya and Altındag, 2007). Only five species of Cladocera were observed in the stream. Among the identified species Leydigia leydigi, Daphnia cucullata were rarely found in the stream. Ceriodaphnia reticulata and Alona rectangulata were observed throughout all seasons. Cyclops vicinus and Acanthodiaptomus denticornis were the representatives of Cope-pods. Both species were recorded in all seasons too. These two species were recorded in Geban and Gorgusan Stream, Peri Stream, Kurk Stream (Ipek and Saler 2012, Saler et al. 2011a, b) In all of these streams rotifers were observed as domi-nant zooplanktonic group . The ecological features of the recorded spe-cies showed that most of them are cosmopolitan and littoral inhabiting (Kolisko, 1974). Addition-ally, among the recorded species, Bosmina longi-rostris and Cyclops vicinus, Polyarthra doli-choptera, Keratella cochlearis are well known indicators of eutrophy (Ryding and Rast, 1989). Polyarthra dolichoptera, Keratella cochlearis are predominant in the stream Ascomorpha ovalis and Notholca squamula are a perennial species while, Notholca squamula is a winter form in the stream. According to Stember and Gannon (1978) oli-gotrophic systems are represented by Copepoda fauna, and large groups of small herbivorous zo-oplankters. Rotifera and Cladocera are found in advanced eutrophic habitats. In other words, Ro-tifera forms an important part of biomass in eu-trophic water systems. Rotifers were found in high number of individuals and high number of species in Ohi stream. Also they have showed an increase in spring and autumn. The zooplankton distribution and pattern of Haringet Stream, Seli Stream, Pulumur Stream, Kurk Stream and Peri Stream showed similarities with our findings (Ozdemir and Sen, 1994; Ipek and Saler, 2008; Saler 2010; Saler et al., 2011a, b). In all of these streams, rotifers were found to be the dominant species as species richness and frequency of oc-currence. It is known that there is a positive correlation between temperature and species richness of zo-oplankton in aquatic enviroments (Matsubara, 1993; Castro et al., 2005; Hessen et al., 2007). Temperature fluctuations effect the zooplankton distribution and number of individuals. In the present study, species richness of zooplankton is positively affected by increasing temperature, so that this study supports the hypothesis that spe-cies richness of zooplankton is positively affected by increasing temperature. Cladocera, Copepoda and Rotifera groups constituted the zooplankton of Ohi Stream. Roti-fers were recorded as dominant group and repre-sented with 16 species. Rotifera showed higher species richness, frequency of occurrence and in-dividual number when compared to other zoo-plankton groups. Dussart, B. (1969). Les Copepodes des EauxContinentalesd’EuropeOccidentale Tale II CyclopoidesetBiologie, N.Boubee et Cie, Paris. Edmondson, W. T. (1959). Rotifera in “Fresh Water Biology”. Ed. Edmondson W.T. Se-cond edition, University of Washington, Se-attle. Harding, J.P., Smith W.A. (1974). A Key to the British Freshwater, Biological Association Scientific Publication, No: 18, Westmorland. Ipek, N., Saler, S. (2008). SeliÇayı (Elazığ-Tü-rkiye) Rotifer FaunasıveBazıBiyoçeşitlilikİndeksleri İle Analizi, EgeÜniversitesi Su ÜrünleriDergisi, 25(3): 211-215. Kaya M., Altındag, A., (2007). Zooplankton Fauna and Seasonal Changes of Gelingülü Dam Lake (Yozgat, Turkey), Turkish Journal of Zoology, 31: 347-351. Kiefer, F., (1978). Das Zooplankton der Binnen-gewasser, 2. Teil, Freilebende Band XXVI, Stutgart. Kolisko, W.R., (1974). Planktonic Rotifers Biol-ogy and Taxonomy Biological Station. Lunz of The Austrian Academy of Science, Stuttgart. Koste, W., (1978a). Die RadertiereMitteleuropas I. Textband, Berlin. Koste, W., (1978b). Die RadertiereMitteleuro-pas II. Tofelband, Berlin. Ozdemir, Y., Sen, D. (1994).HaringetCayındaSaptanan Zooplankter Organizmalar, FıratÜniversitesi Fen veMühendislikBilimleriDergisi, 6(2): 136-140. Reedy, R. Y. (1994). Copepoda: Calanoida: Di-aptomidae. SPB Academic Publication, Lei-den. Ryding, S.O. Rast. W., (1989). The Control of Eutrophication of Lakes and Reservoirs, Man Biosphere Series, Parthenon Publication Group, Vol 1, USA. Saksena, N.D. (1987). Rotifers as indicator of water quality, Hydrobiology, 15: 481-485. Saler, S., Sen, D., (2002). A Taxonomical Study on the Rotifera Fauna of Tadım Pond (Elazıg), EgeÜniversitesi Su ÜrünleriDergisi, 19: 474-500. Saler, S., (2004). Observations on the Seasonal Variation of Rotifera Fauna of Keban Dam Lake Çemişgezek Region, FıratÜniversitesi Fen veMühendislikBilimleriDergisi, 16(4): 695–701. Saler, S. (2009). Rotifers of Kepektaş Dam Lake, (Elazığ-Turkey), Iranian Journal of Science and Technology, Transaction A1, 33: 121-126. Saler, S., Ipek. N., Eroglu, M. (2010). 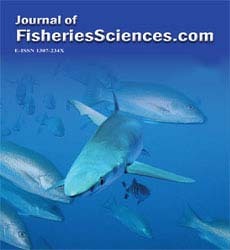 KarakayaBarajGölüBattalgaziBölgesiRotiferleri, e-Journal of New World Sciences Academy, Ecological Sciences, 5(3): 216-221. Saler, S., Eroglu, M., Haykır, H. (2011b). PeriÇayı (Tunceli-Türkiye) Zooplanktonu, e-Journal of New World Sciences Academy, 6(2):14-20. Scourfield, D.J., Hardig, J.P. (1966). Freshwater Biology, Science Publication, New York. Serges,H. (2007). Annotated checklist of the roti-fers (Phylum Rotifera), with notes on no-menclature, taxonomy and distribution,,Zootaxa, 1564: 1- 104. Tellioglu, A. Yılmaztürk, Y. (2005). KebanBarajGölüPertekBölgesi’ninKladoserveKo-pepodFaunasıÜzerineTaksonomikBirÇalışma, EgeÜniversitesi Su ÜrünleriDergisi, 22(3-4): 431-433. Yigit, S., (2006). Analysis of the Zooplankton Community by the Shannon-Weaver Index in Kesikköprü Dam Lake, Turkey, Ankara ÜniversitesiZiraatFakültesi, TarımBilim-leriDergisi, 12(2): 216-220.